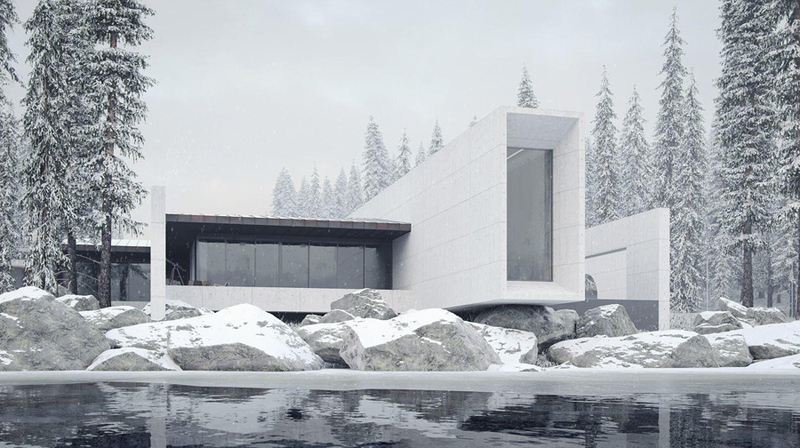 Father’s House is a stunning architectural endeavor by Sergey Makhno Architects. 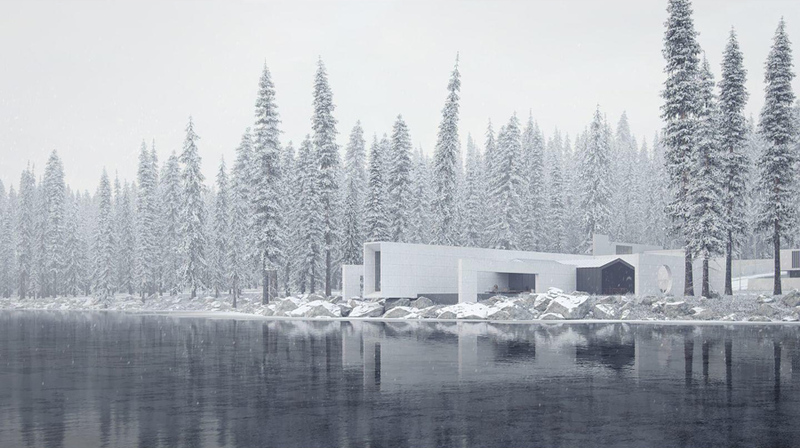 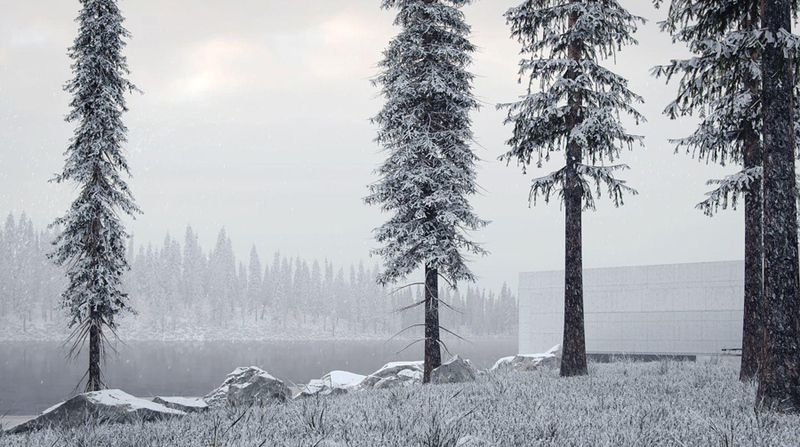 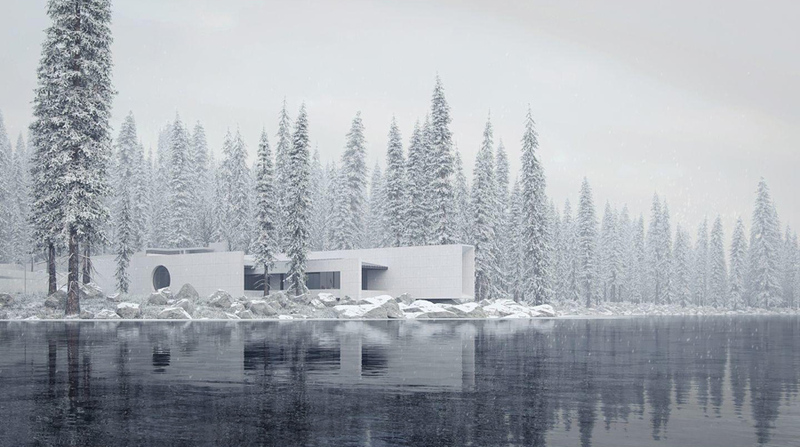 It sits alongside an immaculate snowy lakefront within the forests of Ukraine, boasting a smooth concrete and glass facade that serves to create an entirely minimalist dreamscape. 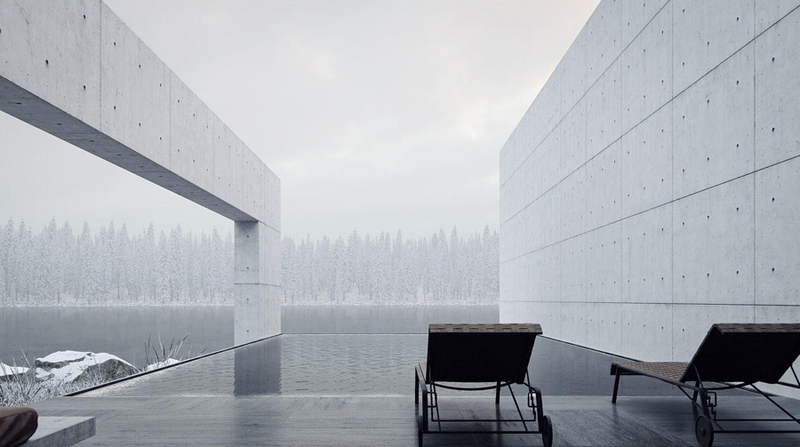 Poetic design principals pair traditional communal areas, bedrooms, and dining areas for interpersonal connection, while an elaborate art gallery spans the length of the home. 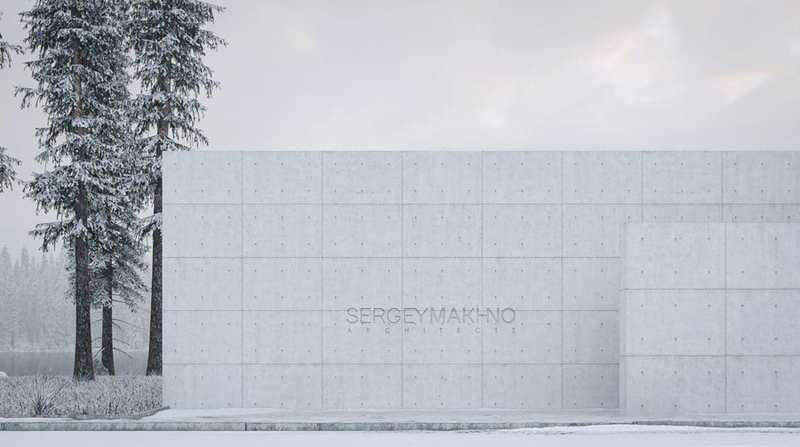 Within the gallery, an elongated ceiling and pedestal serve to bring the displayed pieces closer to a natural light source, further emphasized by a 450-centimeter ribbon window that brings viewers closer to the frozen elements. 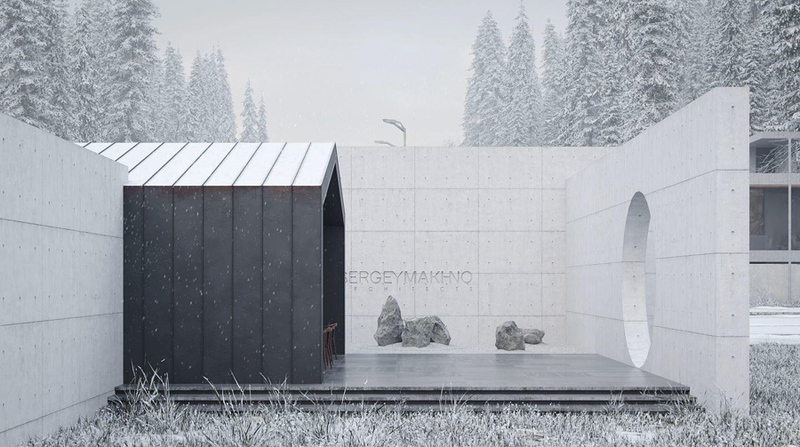 A hidden pool area, outdoor terracing, and a stone garden are found throughout the home – a testament to the euphoric nature of the Ukrainian countryside. 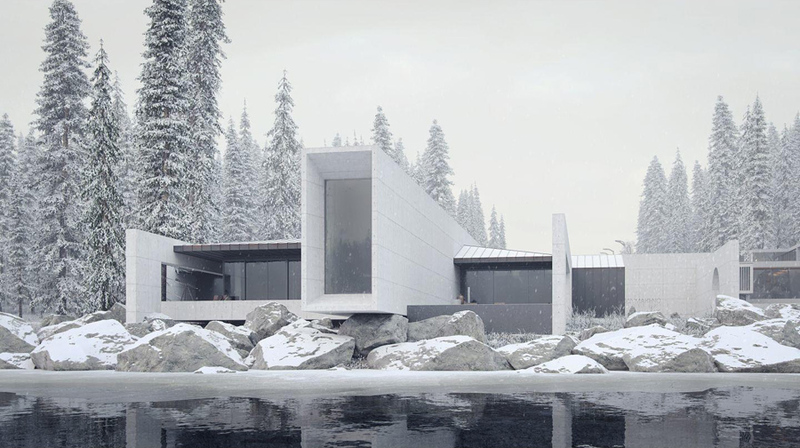 After viewing this villa you should definetely check minimalistic vipp shelter and modern concrete U retreat.